The battle for Warrnambool Cheese & Butter has reached $9.60 a share, after the Takeovers Panel ordered Saputo to raise its bid for the milk processor. The panel weighed into the three-way global bidding war for WCB, after Murray Goulburn and Bega Cheese complained that Canadian dairy group Saputo had misled the market about the value of its bid. The panel said it was "strongly of the view that unacceptable circumstances had occurred" after Saputo raised its bid to $9.20 a share last month, while at the same time WCB withdrew the payment of special dividends if the Canadian company's stake reached more than 50 per cent. Murray Goulburn and Bega said the revised offer was effectively a reduction, considering the special dividends would have valued its bid at $9.56. "The announcements put into place arrangements that were complex, created uncertainty and were most undesirable. The panel would not want to see similar arrangements in future," the panel's counsel, Alan Shaw, said. "Accordingly, the panel was minded to make a declaration of unacceptable circumstances. "Notwithstanding this, the panel has accepted undertakings from Saputo and Warrnambool and declined to make a declaration of unacceptable circumstances." Saputo's offer, which is now final, will stay at $9.20 if it reaches 50 per cent, rising to $9.40 at 75 per cent and finally $9.60 at 90 per cent. Shares in WCB had earlier been placed into a trading halt ahead of the panel's announcement. Mr Shaw said reinstating Saputo's previous offer and the special dividends would "not have been practical". Saputo suggested the revised amounts and thresholds, hoping to speed up the panel's decision, which could have taken until late next month. It had been banned from acquiring any more WCB shares while the panel was deliberating. "Having addressed the concerns of the panel, Saputo has quickly returned with a well-constructed final offer that is designed to reach a final resolution around WCB," a Saputo spokeswoman said. 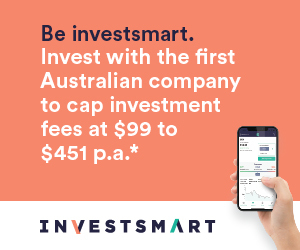 "It is a simple clean cash offer, at a very attractive price, designed to encourage acceptances and deliver greater value to WCB shareholders. "WCB shareholders who accept Saputo's offer will be paid $9 cash per share in five business days, with the prospect of receiving up to $9.60 if it reaches greater than 90 per cent." The spokeswoman said all shareholders would be paid the increases regardless of when they accepted the offer. But while Saputo has been steaming ahead in WCB acceptances, which equate to about a 17 per cent stake in the company, analysts say it still has a fair way to go before finalising any deal. Paul Jensz from PAC Partners said he could see Saputo's holding growing to 30 per cent then petering out. He said securing 50 per cent of the company was a challenge considering Bega owned more than 18 per cent, Murray Goulburn about 17 per cent and Lion another 10 per cent. "They'd need one of the big guys to sell in and Bega is not going to sell in unless they make a very good profit," Mr Jensz said. Bega has declared its offer of $2 cash plus 1.5 Bega shares - which values its bid $8.54 on current prices - final and unconditional. Murray Goulburn's $9.50 cash offer, meanwhile, relies on approval from the Australian Competition Tribunal, which is expected to decide on the bid's eligibility by late February.